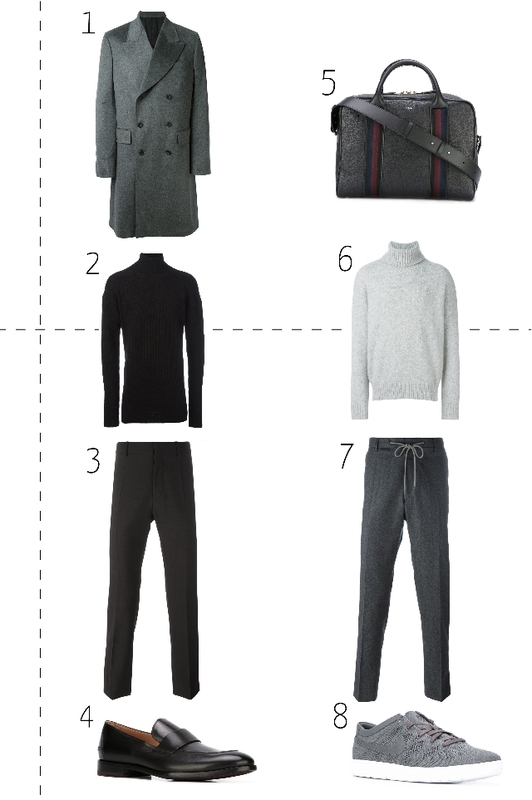 Outfit #1 1 | Double breasted overcoat, E. Tautz 2 | Black oversized turtleneck jumper, Rick Owens 3 | Black straight led tailored trousers, Marni 4 | Classic loafers, Paul Smith Outfit #2 5 | Contrast stripe briefcase, Paul Smith 6 | Grey oversized turtleneck jumper, Ami . . .